Welcome to My Cash Freebies! - $40 One Credit Freebies! 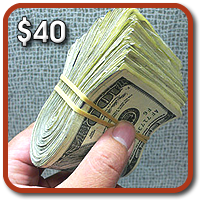 "MyCash" is an Easy to Complete, 1 Credit to Green Freebie Site, and Offers Cash Payouts of $40 Per Completed Referral! You Will Also Enjoy Our FAST Approvals, and Even FASTER Payouts!